Answer Human Assets (AHA) provides experienced, knowledgeable, personalized Human Resources support to small and mid-sized companies in a cost effective way, giving the company’s management more time to focus on their core business. Answer Human Assets (AHA) offers complete HR solutions for your small to mid-size business. AHA handles day-to-day operational issues including administration, benefits, employee relations, payroll, staffing and training. For HR compliance, AHA provides expert advice on areas including prevention of sexual harassment, payment of overtime, employee file requirements and identification of independent contractors. AHA can also partner with management on issues such as an employee handbook, best practices, employee evaluations, compensation, right-sizing, cost control and team building. For multi-national companies, AHA has extensive experience in the variety of HR issues unique to these types of companies including relocation and building the bridge between different locations. For the first time in quite a while, we’re seeing some signs of an improving economy within our client base. Employees are leaving for what they perceive as better opportunities, and prospective candidates are declining job offers, citing other available alternatives. Also, the stock market continues its climb! Since I founded Answer Human Assets in late 1999, having employees in the United States has become an increasingly complex proposition and it wasn’t easy then! Are you confident that your company is complying with federal and local laws? Do you offer a workplace environment that is free of harassment and discrimination so employees can reach their full potential? By partnering with AHA, your company benefits from many years of HR experience. Our areas of expertise include many functions within HR Administration, HR Compliance, Strategic Support for Management and International HR. We specialize in supporting small to mid-sized businesses in a cost effective way, giving you more time to focus on your core business. Helps you with your day-to-day operations. Your ongoing HR operations address the needs of your employees from hiring through departure. Consistent HR administration gives your employees the peace of mind to know that their affairs will be taken care of so that their focus can be on the task at hand. AHA can handle as much of your HR administration as you desire. New employee on-boarding – AHA develops on-boarding procedures for your company. As each new employee joins your firm, an associate from AHA will conduct an orientation which typically includes review of the employee handbook, enrollment in benefits and payroll, establishment of the employee file and discussion of any other company policies and procedures. Benefits and Payroll Administration – AHA is available to help you evaluate current providers and identify potential alternatives. An AHA associate will be available to handle any employee issues or concerns and act as the interface with each provider. End of Employment Processing – AHA will develop separation procedures which typically include an exit interview, termination of benefits and payroll, the management of COBRA and any other required notifications. Recruiting – By using internal resources or third-party recruiters, AHA helps you identify and screen candidates for various positions. Pre-employment Screening – Using a third-party provider, AHA provides background checks on all new hires. Keeps you up-to-date on the latest regulations. In today’s marketplace, new and existing companies need to keep up with the constant changes and varying layers of regulation at the federal, state, local and international level. Having an experienced HR professional in your corner will help your company comply with these important requirements. AHA will help your business remain updated on the applicable regulations for your size, type and industry. Prevention of Sexual Harassment and Discrimination – AHA will train all of your managers and employees to understand what constitutes sexual harassment and discrimination, to recognize these behaviors in the workplace and to understand what their responsibilities are. Payment of Overtime – AHA will help you identify all employees who, according to the Fair Labor Standards Act (FLSA), are exempt from the payment of overtime. Employee Filing Requirements – AHA will help your company set up employee files correctly, establish retention schedules and ensure compliance with I-9 and any other regulations. Independent Contractors – AHA will help your company properly classify people as either employees or independent contractors. Non-compliance can be costly to companies in a number of ways. AHA will help to ensure that this area will not negatively impact your business. Educates you on the nuances of managing a multi-national business. International organizations, with offices in the US and abroad, face a variety of challenges, in addition to the standard, domestic HR issues. AHA can help the home office in a foreign country understand the nuances of HR in the US and also prepare an executive for his or her temporary assignment in a foreign country. AHA’s extensive experience in international human resources is a valuable asset for any multi-national business. Interface with HR in Other Countries – Whether the parent is in the U.S. or in other countries, management needs to understand the different environments in which their offices operate. AHA has extensive experience in building the bridge to facilitate this communication. Ex-Pat Package Design and Relocation – A smooth transition is important when an executive is moving overseas or relocating to the US. AHA can help your business design competitive and effective compensation and relocation packages to make the move easier. Visas – Companies need to be aware of the various requirements for working in different countries. Before sending employees overseas or to the US, AHA can help your business learn what’s doable and help you understand the rules and nuances of different countries. Cross Cultural Training – Understanding the cultural differences when relocating is critical. AHA can help your executives and their families easily settle in to their new home in the US or abroad. Knowledge is key when conducting business outside of the US or opening in the U.S. With AHA, your business will benefit from the experience and the international connections to make your new, international office function smoothly from day one. Guides you in establishing “best practices” for a variety of HR issues. In today’s competitive environment, a company’s success is dependent on attracting and retaining quality employees and establishing best practices consistent with the company’s mission and philosophy. AHA will partner with you to create a combination of policies and programs to support the development and growth of your business. Employee Handbook – AHA will work with you to create an employee handbook that contains the policies and reflects the culture of the company. Uniform implementation of the handbook is an important corporate building block for smooth operations. Employee Evaluations – AHA will create and implement an effective performance management system that outlines the goals and the expectations for each employee. Compensation – An effective compensation program must be consistent with the goals and objectives of the company. Using the different tools available including base pay, bonus, commission, qualified plans such as 401K and non-qualified long-term incentives, AHA will design a customized plan that is consistent with the needs of your business. Right-sizing – As companies and industries evolve and economic conditions change, businesses must continually make decisions on their staffing needs. AHA will partner with you to help identify the optimal size of your organization. Cost control – The largest expense for most organizations is employee compensation, followed by employee benefits, particularly medical insurance. AHA will work with you to review these costs and to discuss the various options available. Team building – Corporate culture and team chemistry have a significant impact on the bottom-line of an organization. The experienced professionals at AHA will work with you to design and implement a strategy to ensure that your employees are working together effectively. By evaluating key company policies and procedures, an organization can fine-tune areas that will help maintain employees and contribute to the company’s growth. AHA has the experience and the expertise to help your business with these important management issues. Gives you access to HR resources and the latest news. Ken Pollet is the Principal and Founder of Answer Human Assets, a company that was founded in 1999 and provides outsourced human resource support to small and mid-sized companies. Ken has many years of successful management and technical experience having managed major organizational changes including start-ups and re-organizations, both domestically and internationally. After beginning his career in technology with companies such as New York Life, Informatics General Corporation (contractor for IBM) and Bank of New Zealand, Ken was hired by Banco Santander as Head of Technology. He was quickly promoted to Vice President of Operations and later named Vice President of Human Resources. In this position, he was responsible for all aspects of Human Resources and Facilities for Banco Santander’s operations in the United States. When Ken helped Banco Santander become one of the first foreign banks to be granted the right to operate as an investment bank in the United States, he became responsible for all aspects of Human Resources for Santander Investment Securities. In addition to his domestic responsibilities, Ken played a significant role in the initiation and development of a variety of global programs in areas such as compensation, long-term incentive programs, expatriate policies and human resources information systems. Ken was also responsible for overseeing the construction of a nineteen story office tower in midtown Manhattan which serves as the U.S. Headquarters for Banco Santander. Through his work with the Santander Group, Ken enhanced his knowledge of human resources for the financial services industry. In 2000, after twelve years with Santander Group, he founded Answer Human Assets (AHA). Since that time, AHA has been functioning as the “HR Department” for a variety of domestic and international clients, handling day- to-day operations such as payroll, benefits administration and employee relations as well as partnering with management on a variety of issues such as right-sizing, evaluation processes, prevention of sexual harassment and benchmarking. AHA’s other areas of expertise include compensation, long term incentives, succession planning, staffing and training. In addition to the services available for domestic companies, AHA offers a variety of specialized services for international businesses including the development of relocation packages, move coordination, cross-cultural training and visa processing. Ken is a graduate of Bernard M. Baruch College with an MBA in Finance. He is a member of the Society for Human Resources Management and the French American Chamber of Commerce. 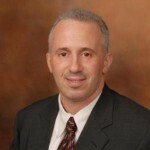 Evan Guttman is a Human Resource Director for Answer Human Assets, responsible for account management and human resources support for small to mid-sized businesses in Fairfield County and other surrounding areas in Connecticut and Westchester County, NY. Evan is a human resources professional offering more than 25 years of human resources (HR) and operational executive experience. In his previous role, Evan was the HR leader for Clayton Holdings, LLC, a premier global provider of mortgage and real-estate market risk management solutions with over 2,000 employees. As a member of senior executive team, Evan helped steer the company through the sub-prime mortgage crisis by building transformative people and business strategies, including a key role in the acquisition and integration of two companies. The firm was successfully sold to Radian, Inc. in 2014. Prior to working for Clayton, Evan was the Vice President of Retail and Fulfillment Operations for Cendant Inc.’s Membership Division. In this role, Evan was one of the original pioneers in the e-commerce space. Managing a team of 150 employees, he directed all aspects of merchandise buying, catalog publication, order and fulfillment logistics, web store operations, and customer service. In addition, as the franchise owner of three European Wax Centers, Evan understands the daily complexities of running a small business. Evan has a 25+ year career of building cultures of engagement, agility and improvement. Through leadership, organizational design, quantitative analysis and talent acquisition, his work has always resulted in enhanced employee loyalty and improved operational efficiency. Evan holds a M.S. in Industrial Labor Relations from Cornell University and a B.S.E in Industrial and Operations Engineering from the University of Michigan. 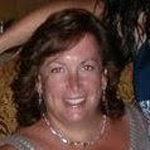 He resides with his family in Stamford, CT.
Paula is a Human Resource Associate for Answer Human Assets (AHA), responsible for human resource and account management for small to mid-sized businesses in Manhattan, Westchester County and other surrounding areas in the tri-state metro area. She has over 18 years of human resource management and administration experience, with an emphasis on recruitment, employee relations, communications and compliance. During her tenure with AHA, Paula has progressively taken on diverse HR responsibilities, managing the ever changing needs of AHA’s client companies, functioning as both the on-site and also the back office contact. She excels at developing and cultivating strong work relationships with all levels of employees, and works closely with the management of each client company in order to best tailor HR solutions to reflect the client’s needs, goals and management style. Prior to joining AHA, Paula was the Recruitment & Employee Relations Manager for the Moet Hennessey Louis Vuitton Fashion Group Americas (LVMH). In this role, Paula was responsible for all aspects of the recruitment process, and for the handling of employee relations issues at both the corporate and retail level. In addition, she was responsible for visa procurement and the annual recruitment budget. She completed Louis Vuitton’s management training program at their Paris, France global headquarters. Previously, Paula was an Employment Specialist/Assistant Treasurer in the corporate Human Resource Department at Republic National Bank (now HSBC). She co-managed a large in-house temporary staff, as well as recruited outside candidates for the company’s long-term temporary and temp-to-perm positions for all departments and divisions. Prior to joining Republic National Bank, Paula completed a three month Human Resource internship, (while finishing her master’s degree) at UPS’s Yorktown Heights, NY location. Her responsibilities included recruiting for temporary, seasonal delivery and customer service staff as well as handling new hire orientations. Paula began her HR career as a Recruiting Assistant in PaineWebber Inc.’s Investment Banking division. In this role, she coordinated both the MBA and undergraduate full-time and summer position interview process, both on campus and in-house. She also organized both the Financial Analyst and Associate new hire training programs. Paula earned an M.S. in Human Resource Management from Mercy College in Dobbs Ferry, NY and a B.A. in English from Siena College in Loudonville, NY. She lives in Ridgewood, NJ with her husband. 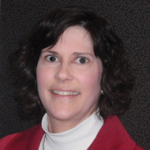 Susan Gallen is a Human Resource Associate for Answer Human Assets, responsible for account management and human resources (HR) support for small to mid-sized businesses in Bucks County and other surrounding areas in Pennsylvania and Central New Jersey. 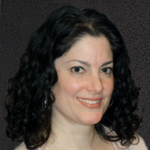 Susan is a human resources professional offering 15 years of generalist experience. Her previous experience includes being a contractor with the Rosen Group where her diverse group of clients included one of the world’s largest pharmaceutical companies, a cellular phone provider, a hospital system and a financial services organization. AstraZeneca became her client immediately following the merger of Astra USA and Zeneca. She recruited and placed over 100 internal and external pharmaceutical professionals in promotional and medical educational positions in less than two years, helping to build the US Marketing division of this newly created organization. She also trained hiring managers in new staffing processes and administrative staff in the use of PeopleSoft. Prior to her work as a contract professional, Susan worked for CGI Consulting Group. In that position, she created and managed the administrative processes of annual enrollments for the health and welfare plans of her client companies. She integrated newly acquired divisions into clients’ existing benefit plans, conducted on-site enrollment meetings and trained CGI call center representatives on the particulars of her clients’ plans. Susan also negotiated with insurance vendors on behalf of her clients and aided in plan design. Previously, she worked as a Human Resources Representative with Clement Communications where she was responsible for recruiting, on-boarding new employees and the training for prevention of sexual harassment. She also administered the company’s health and life insurance plans and implemented the company’s Equal Employment Opportunity/Affirmative Action plan. Susan’s professional experience began as a Personnel Representative at State Farm where she managed the HR needs for 10 of the Pennsylvania claims offices of State Farm Insurance, an employee population of 300. She recruited and on-boarded new employees, coordinated state-wide college recruiting efforts, conducted on-campus interviews and facilitated in-house employee self-development courses. Susan holds a M.S. in Human Organization Science from Villanova University and a B.A in Social Science from Rosemont College. She resides with her family in Newtown, PA.
Phyllis is an Associate for Answer Human Assets (AHA), a company that provides outsourced human resource support to small and mid-sized companies. Phyllis has been a Payroll Specialist for over 20 years and is currently responsible for payroll and benefits administration for AHA’s clients in the tri-state area. Prior to joining AHA, Phyllis worked for both employers and for payroll processing companies. After joining AHA, she also has gained valuable knowledge and expertise in other office administration areas including benefits implementation and administration, accounts payable, accounts receivable, payroll tax administration, audit preparation, bank reconciliation, personal and business tax return preparation, and operations management. Phyllis is a dedicated team player and quick study, qualities that make her an invaluable asset to the AHA team. Phyllis resides in New Jersey with her husband and two daughters. Sue was the Vice President, Affiliate Ad Sales and Distribution Marketing for Lifetime Networks where she led a team to develop strategic local ad sales and affiliate marketing promotions. Previously, she was the Vice President, National Distribution where she was responsible for managing the affiliate sales team across the country with the goal of increasing the revenue and the distribution of Lifetime, Lifetime Movie Network and Lifetime Real Women among cable operators and other distributors. Prior to Lifetime, Sue was a sales executive at Showtime Networks as the Vice President, Area General Manager in the Northeast Region. Over her eleven year tenure, Sue was responsible for increasing the revenue and the distribution of Showtime and The Movie Channel, running the regional operations and managing the department’s sales training and incentive programs. Sue graduated from the University of Richmond with a B.A. in Education. She taught gifted fifth graders in Richmond before entering graduate school to earn her MBA from The College of William and Mary in Williamsburg, VA. She has served on the Board of Directors of the MBA Alumni Association for the graduate business school. 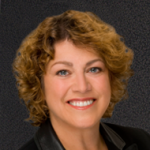 Sue served as a National Board member of Women in Cable and Telecommunications (WICT) from 2003 – 2006 and as the President of the New York chapter of WICT in 2001 and 2002, where her chapter won the “Chapter of the Year Award” for 2002. She was selected to be a member of WICT’s prestigious leadership program, the Betsy Magness Leadership Institute, for the class of 1996 – 1997. She served as a Board Member of the New York Chapter of Cable Television Association for Marketing (CTAM) from 1998 – 2006. From 2003 through 2006, she also served as President/Co-Founder of the “Fire Island Golden Wagon Film Festival” in Ocean Beach, NY. Alan Krystal, an attorney practicing in New York State for over 30 years, works in Compliance for Answer Human Assets, handling complicated matters dealing with compliance, litigation and business processes. He is skilled in anticipating issues and identifying proactive solutions to eliminate and to mitigate risk. He helps small to mid-sized companies advance their businesses with respect to safety, security, regulatory and compliance issues. Since being admitted to practice, Alan has had a varied career most recently as the Chief Compliance Officer for Capital Contractors, Inc. His background encompasses several specialties including tort and civil litigation, corporate governance, real estate, family law and appellate practice. He has drafted and negotiated numerous customer contracts including employee and independent contractor agreements. In addition, Alan has served as an arbitrator for the American Arbitration Association since 1999, hearing and deciding uninsured and underinsured motorist claims. 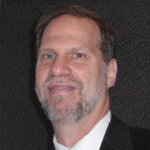 Alan has been actively involved in the development and implementation of corporate compliance programs. 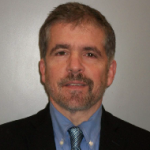 He has worked closely with Human Resource departments and corporate management on day- to-day operational issues as well as right-sizing, evaluation processes, and compliance training. He has also spearheaded the corporate due diligence process during financings, sales and acquisitions. Alan has appeared as a as guest speaker for attorney seminars regarding employment and wage/hour issues, employment discrimination and social media. Alan is a graduate of Queens College and California Western School of Law. He lives on Long Island with his wife and son and is a member of the New York State Bar Association. AHA’s professional team is available to answer your questions and help you with your HR needs. Contact us today so you can spend more time focusing on your core business!